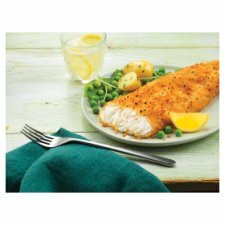 Portions formed from pieces of cod fillet with a delicate lemon & black pepper crumb coating, prefried. 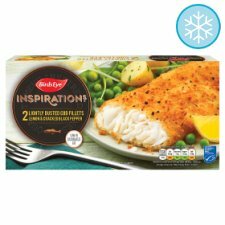 Birds Eye Inspirations brings you delicious, menu inspired dishes for quality meal times at home. 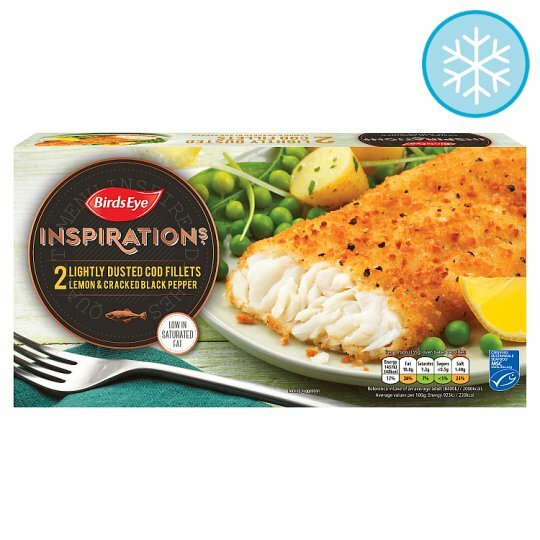 Take our Cod fillets, in a light dusting of lemon and cracked black pepper. Enjoy them with sugar snap peas and buttered potatoes. Oven cook (From Frozen): Tastiest when Oven Baked Straight from the Freezer. Middle of oven on a baking tray.